Fort Lauderdale: the so-called “Venice of America.” The elaborate and enchanting canal system is reminiscent of that famous city in Italy. But think less gondolas and more gay dollas. This perennial gay and lesbian tourist destination bring in people from all over the world, all looking for something different. And they all find it. When you’re in Fort Lauderdale, every day and at every moment, you can choose to be as subdued or deviant as you want. Though it’s only about 30 miles away, Fort Lauderdale feels much different from its hot-blooded cousin Miami. Absent are the frantic energy and the high expense you’ll find farther south. Let yourself enjoy the beauty of southern Florida in a more chill, more credit card-friendly atmosphere. The vibe is easy-going, much like the water that flows through the city, but there’s lots to do. The redevelopment of the last two decades has brought more entertainment, cultural options, bars, rainbow flags, and resorts galore. Many of these are near each other (and clothing-optional), so the “Your place or mine?” is even more of a formality. 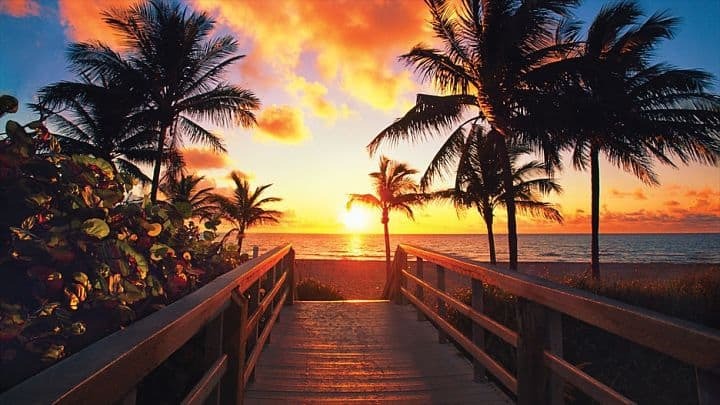 Fort Lauderdale is truly a resort town, with 23 miles of beaches. Seek out the ones at Sebastian Street (the long-time unofficial official gay beach), Northeast 18th Street (where the locals often go, cruisy), and Terramar Street (where most of the gay tourists like you end up). There’s a lot to explore, so you’ll need a car. Note that the numbered street vs. avenue thing is needlessly confusing, so pay attention. Take a stroll along the Riverwalk (part of Las Olas Boulevard), a one-mile stretch boasting an impressive assortment of food, shops, entertainment, and the best people-watching in town. The Riverwalk Arts & Entertainment District is the crown jewel of Fort Lauderdale’s cultural revival. So don’t spend all your time sunning at the beach and funning in bed, or you’ll miss out. 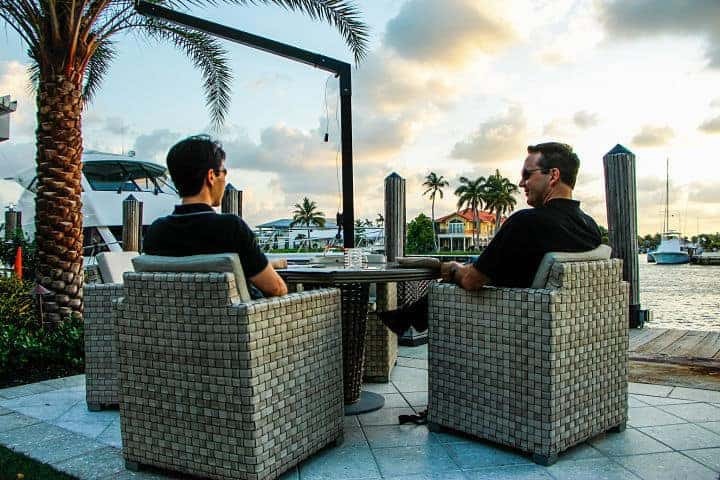 The traditional gay neighborhood is Victoria Park in the downtown area, but Wilton Manors, located inland and technically its own city, is gayer (if that’s possible) and growing more popular, especially with the younger crowd. The nightlife is pretty causal; there are quiet lounges to grab a drink and bigger clubs where you can grab a lot more, creating a mix that’s popular with tourists and residents. Would-be travelers don’t have to decide what kind of trip they want: laid-back beach town, international hotspot, or cultural haven. For the best time, let loose, explore the area’s versatility and just go with it.